Charges have been laid including two counts of abduction without a custody order against Sandra Giesbrecht, the mother who is alleged to have gone on the lam with her son and daughter earlier this week. 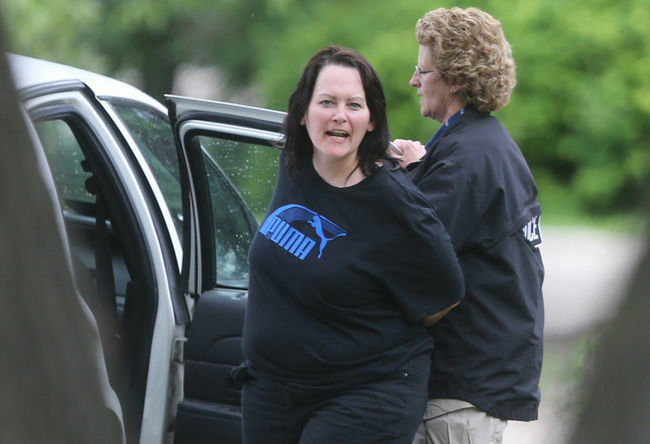 Giesbrecht and her 11-year-old daughter Montana and nine-year-old son Josh were reported missing on Monday, but were located early Friday evening after a brief police pursuit which ended with Sandra Giesbrecht being arrested in Bruce Park in St. James. On Saturday, police announced she has been charged with two counts of abduction without a custody order and another count of flight from police. On Saturday, Michalyshen revealed details of the conclusion of the frantic search for Giesbrecht and her two children, which included the issuing of a Canada-wide warrant for Sandra Giesbrecht’s arrest and a rare public plea by the head of the missing persons unit for Giesbrecht to end the chase. The children had been missing since being picked up Monday evening in the St. James area in a white four-door vehicle similar to a Toyota Echo. Primary custody of the children was awarded to their father after a bitter divorce. 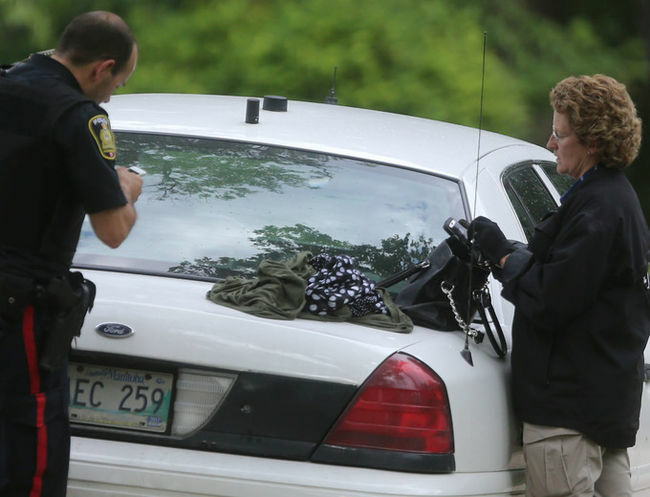 On Friday evening, officers acting on information spotted Sandra Giesbrecht driving a Ford Expedition SUV in the area of Amherst Street in St. James. Police said efforts to safely stop and contain the vehicle were made but Giesbrecht refused to comply, initiating a short pursuit. 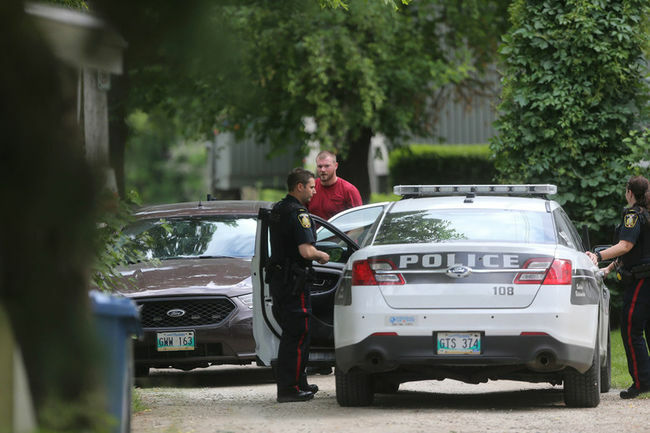 Around 5:25 p.m., police said Giesbrecht and her children abandoned the vehicle at the rear of the 100-block of Deer Lodge Place and fled on foot into nearby Bruce Park. 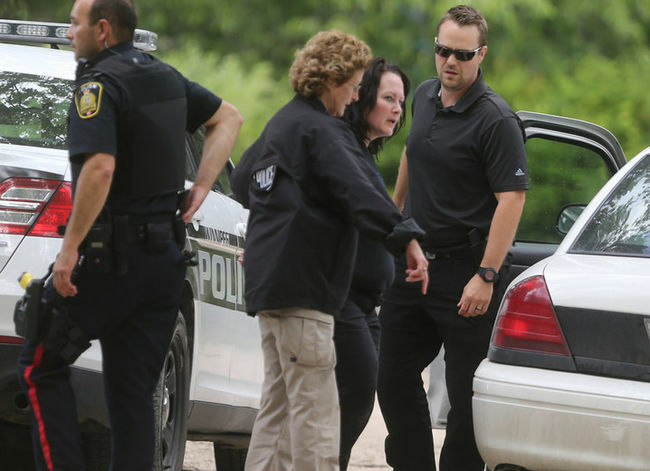 Moments later, Giesbrecht was arrested and her children were taken into care uninjured due to the efforts of the missing persons unit, child abuse unit and patrol units. 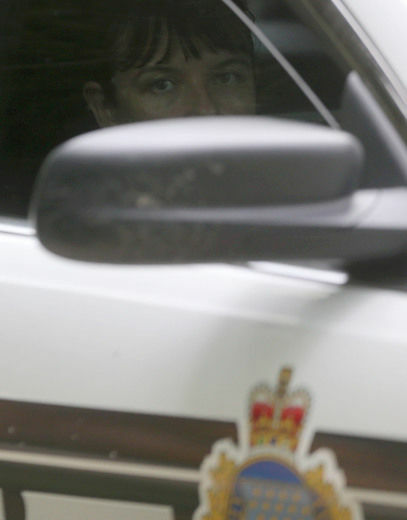 According to police, the SUV Giesbrecht was arrested in was ‘taken or borrowed’ from an associate or friend of hers. But Michalyshen said there are no charges against any other people for aiding or harbouring Giesbrecht and her children at this time. 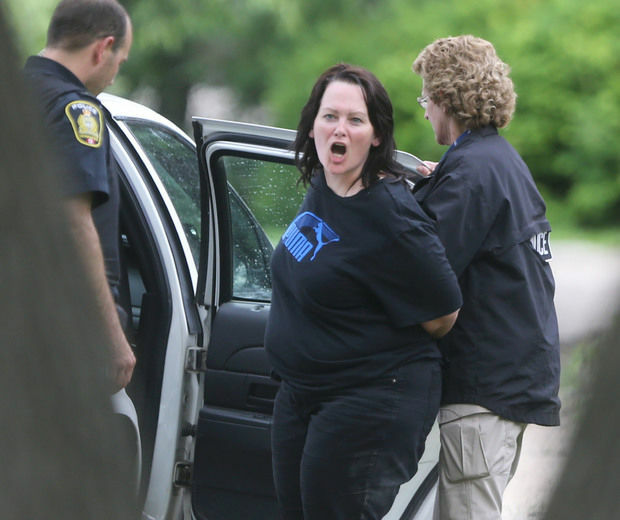 Winnipeg Sun photographer Chris Procaylo watched as the five-day ended search ended Friday with the arrest of Giesbrecht, who yelled accusations against her husband as she was put in handcuffs, saying she was merely trying to protect her children.